James Franco Debuts Friday On Nick At Nite's Hollywood Heights! Tomorrow night, June 29th, motion picture star and part-time soap actor, James Franco will make his first appearance on the Daytime Emmy winning executive producer, Jill Farren Phelps latest television project, the soap, Hollywood Heights! As previously noted, that actor whose last foray into the soaps was as psycho-killer, Franco on General Hospital, this time out will play the character of Osborne “Oz” Silver, an eccentric, ruthless movie mogul who lives life to the fullest. 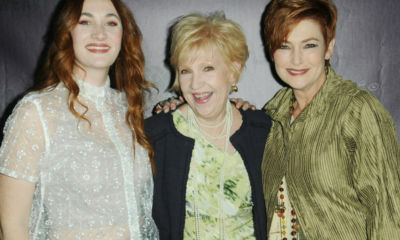 “Oz” will definitely shake things up for the cast of characters on Hollywood Heights! The series also stars daytime alums Brittany Underwood (ex-Langston, OLTL), Cody Longo (ex-Nicholas, DAYS) and Grayson McCouch (ex-Dusty, ATWT) and airs weeknights at 9 p.m. only on Nick At Nite. Will you check out James Franco in his newest soap role? Let us know! TONIGHT: All -New Episode of TNT's Smash Hit DALLAS! Who's your Fave Younger Ewing? Josh Henderson or Jesse Metcalfe? Good for James franco, As long as he stays far, far, away from general hospital. PLEASE. I agree with you.. Franco played in Spidermam movie with Tobey mcguire. First his character was good but shortly he turned evil…. I don’t think I will be watching him in his latest venture………..
Me either, I use to like him then one day he showed up on General hospital, I hated his sick character, jason should have killed him after he saw his first finger painting, anyways I hope he is gone and he never, ever, comes back. As long as he doesn’t come back to GH! Saw this hollywood heights for about 4 minutes.and this show is for teenagers….Not adults…..
Umm . . . Whoo? 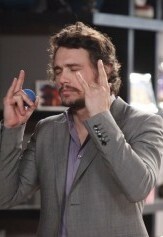 James Franco just wants to try eveything he can and I think he has an obsession with soap opera. Is that good or bad? We will never know. He’s a brilliant quirky actor! I say it’s bad, He came to port charles and with abc’s blessing he helped to destroy it and I believe he is a very big part of general hospital going downhill in the ratings. 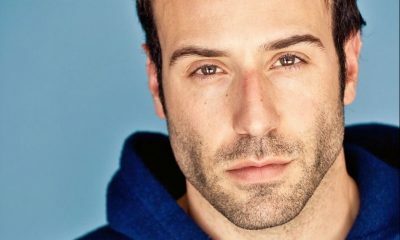 Let him stick to movies and what ever else he is doing just don’t come back to general hospital. Apparantly Jill Pharen Phelps doesnt learn from past mistakes…. Two of the most revered performances ever in the world of daytime drama will be seen tomorrow night on an all-new episode of NBC’s drama series, The Blacklist. (10/9c). 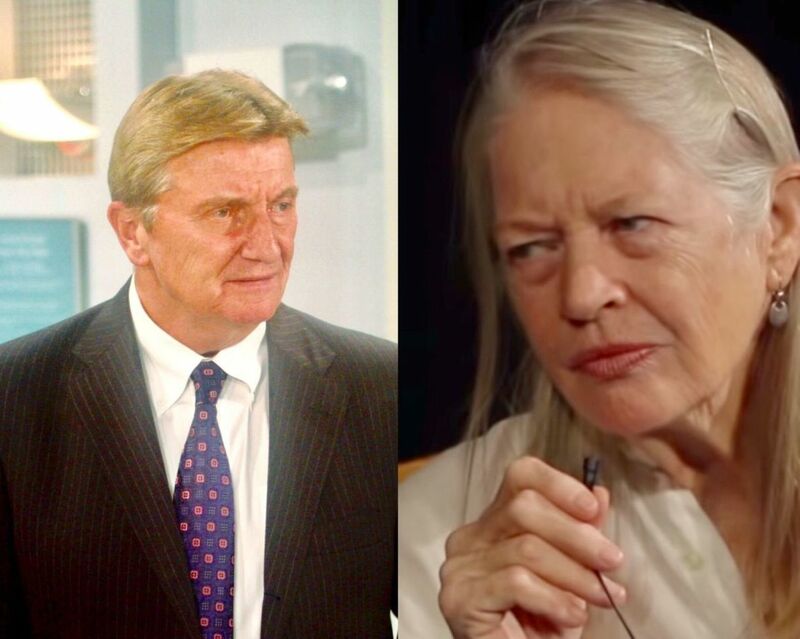 In “The Pawnbrokers”, Daytime Emmy winners, Larry Bryggman (Ex-John Dixon, As the World Turns) and Dorothy Lyman (Ex-Opal Gardner, All My Children) will be seen as a criminal duo! Bryggman and Lyman play a couple that fronts cash to criminals on the black market. In story, series star, James Spader’s Red acclimates himself to his new digs in federal prison, where he is challenged by an old rival. Samar (Mozhan Marnò) goes undercover to stop a black market organization that fronts cash to criminals. (Enter Larry and Dorothy!) And, Liz (Megan Boone) and Jennifer (guest star Fiona Dourif) continue their investigation into Red’s past. Check out the promo for tomorrow night’s episode below. Then let us know if you will be checking out Larry and Dorothy and if all of this brings back memories of their amazing performances in Oakdale and in Pine Valley in the comment section below. TAINTED DREAMS Season 2 To Bow December 21st! Tainted Dreams is back with a second season offering from Daytime Emmy-winning director and series creator, Sonia Blangiardo! 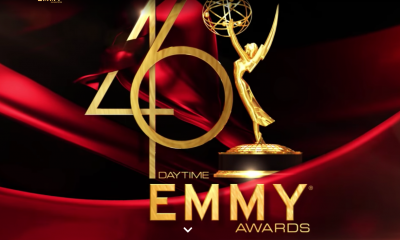 This series, which was nominated for five 2017 Daytime Emmys, follows the behind-the-scenes drama of a fictitious soap opera titled Painted Dreams. Many soap opera notables have roles in the online series including: Alicia Minshew, Michael Lowry , Austin Peck. Terri Ivens, Walt Willey, Kelley Menighan, Grant Aleksander, Bobbie Eakes, Natalia Livingston, Marnie Schulenburg, Nathan Purdee, Colleen Zenk, James DePaiva, Tonja Walker, Ilene Kristen, and the late Larkin Malloy . In addition, Jessie Godderz of Impact Wrestling and Big Brother fame, and Dina Manzo of The Real Housewives of New Jersey, also appear. Crystal Hunt, Donna Mills, Antonio Sabato Jr & Michael Swan Star In New Faith-Based Soap Opera, HILTON HEAD ISLAND! Some longtime soap opera notables are featured in a new 22 episode faith-based soap entitle, Hilton Head Island. The series debuts this Friday, November 10th with the first eight installments, and is from the Christian entertainment company, PureFlix.com. 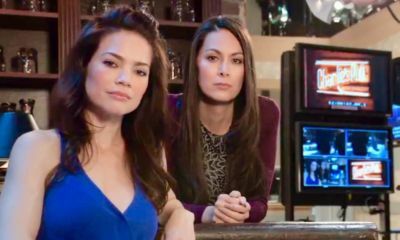 The soap opera is available by subscription, but the service offers a one-month free trial. In story, Hilton Head Island, revolves around the lives of the fictional Trisk family, who own the a television network. Hilton Head Island features: Antonio Sabato Jr. (ex-Jagger, General Hospital), Donna Mills (ex-Abby, Knots Landing), Michael Swan (ex-Duncan, As the World Turns), and Crystal Hunt (ex-Lizzie, GL). PureFlix.com specializes in “family-oriented” content and shows. The plan is for Hilton Head Island to be rolled out in two subsequent seven-episode blocks in the coming weeks.